iDidTht.com PREDICTIONS | Predicting South Afrca's big winners at award shows throughout the year. Predicting South Afrca's big winners at award shows throughout the year. 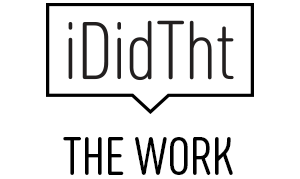 2016 iDidTht.com Cannes Predictors: Jason Xenopoulos, Peter Khoury, Mariana O’Kelly and Brett Morris. Can you believe it’s that time of year and the SA Cannes Predictions are once again upon us? The iDidTht.com Cannes Predictors are always a collection of SA’s creative heavyweights and this year is no exception with Jason Xenopoulos, Peter Khoury, Mariana O’Kelly and Brett Morris making up the panel. They have chosen which they think of SA’s 870 entries into the 2016 awards are most likely to pick up metal. Thank you so much to them for taking time out of their busy schedules to share their thoughts with us. IDidTht Founder Julie Maunder had this to say, “It’s great to see so many different pieces of work getting the predictor’s nod this year. Normally the experts seem to agree on the same few pieces. 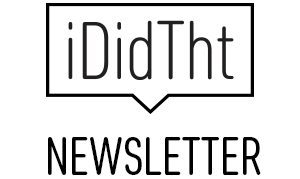 This year more people are getting the recognition they deserve!” iDidTht.com is holding thumbs for all of you. Good luck. 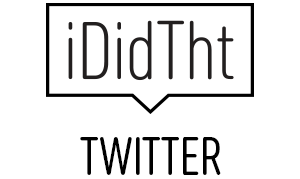 Stay tuned to @ididtht and @SAatCannes for all the live action, insights and results from this year’s festival. Alternatively, you could receive Cannes news directly to your inbox by subscribing here. It was great to have the opportunity to view all (or most) of the SA work going into Cannes and there were certainly some standout pieces for me. I have say that most of them were in radio and holy moly there is some amazing jealous-making radio in the mix. It seems to be the category that brings the best writing craft out of South Africa. I can’t help but feel we should be applying the same rigour and ingenuity to the rest of our work as well. Perhaps it’s because there’s less meddling in radio? Worth a discussion at Creative Circle. Anyway, it should be another strong year in radio for South Africa, not sure the same can be said of any other categories. I do have one issue/plea for the writers and makers of this fantastic radio work. I beg you, for the love of all that is South African, to dispense with the faux American accents and instead inject more local flavour into the work. We have some amazing actors and comedians who would not only do justice to this great writing but dare I say, make it even better. STUDENT FLIGHTS ‘TRAVEL BEFORE IT’S NOT FUN ANYMORE’ RADIO CAMPAIGN (TBWA Hunts) – Second round in the campaign that’s maybe not as strong as the first, or could just be that I know that campaign, but either way I’m a big fan of building on the equity of strong campaigns (something we should do more of) and these are certainly deserving of a nod. PEACEFUL SLEEP ‘EQUATIONS’ RADIO CAMPAIGN (TBWA Hunts Jhb) – Love the fact that they use a simple audio device like sound effects to such masterful effect. So simple … and the good ones always are. VODACOM ‘YOU SHOULD HAVE CALLED’ RADIO CAMPAIGN (Ogilvy & Mather Jhb) – So flipping funny start to finish. Enough said. NANDO’S ‘PERI PERI THREAD’ BOOK (MullenLowe) – Outstanding piece of design, hope it gets the recognition it deserves. CITY LODGE HOTELS ‘A ROOM FOR EVERYONE’ PRINT (TBWA Hunts Jhb) – One of those print ads that draws you in and holds your attention while you enjoy the many layers of craft and comedy. Hope the speed-reading judges takes five seconds to take it all in. TRIVIAL PURSUIT ‘CLOSE BUT NO WEDGE’ PRINT (Publicis Machine) – Well crafted, effortless enjoyment that speaks to the heart of the product. PASSOP ‘TWITTER REFUGEES’ (NATIVE VML) – I really like this piece. It takes a simple insight and a simple mechanic to twist the mindless, thoughtless, witless social media discrimination against itself. It’s a tough category but who knows. Good luck to everyone, hope South Africa makes its mark again. NIVEA ‘SUNSLIDE’ (FCB CT) – It is no longer enough for a brand to simply communicate a message… today our marketing has to provide consumers with something of value. Nivea Sunslide does that in a simple and impactful way. THE FIRST KISS (Y&R SA) – We have all seen gory car crash ads before, but “The First Kiss” TVC is exceptional for several reasons. Conceptually speaking, it is a powerful dramatization of the dangers inherent in not buckling up – not just for yourself, but for those around you. Who knew that not wearing a seatbelt could turn you into a deadly missile, potentially killing those around you? But its real strength is in the pitch-perfect film direction – a beautifully told story that draws you in and delivers a solid punch to your attention glands. 10 out of 10 for execution. CLOVER MILK ‘DROUGHT PACKAGING’ (Joe Public) – Anyone who has tried to convince a client to change their logo or packaging for a campaign knows what an impossible task that usually proves to be. Not only has this campaign done the impossible in that sense, but it is a powerful and purposeful illustration of the brand’s commitment to an important societal issue. DISTRICT SIX MUSEUM ‘TRAVELLING SUITCASES’ (Ogilvy & Mather CT) – Using baggage caroussels at the airport as a media space is not new, but the poignance of telling a human story through the carefully selected items packed into a single suitcase allows this campaign to transcend what can be a relatively cold and tactical channel. CANSA ‘TESTI-MONIALS’ (FCB CT) – I don’t particularly enjoy staring at hairy balls, but the boldness of this idea is underpinned by excellent execution, particularly in terms of the performances. Delivering an engaging, entertaining, and informative monologue using nothing but a mouth (and an eye-less hairy ball face) is pretty impressive! Off-kilter and straight-forward enough to land with international judges. You don’t even have to talk English to think this is funny. OPERATION SMILE SOUTH AFRICA ‘OPERATION 45’ (Y&R SA) – This is an extremely unusual idea. Drawing a parallel between soccer and a medical issue that very few South Africans are aware of, allows this campaign to harness the accessibility and ubiquity of sport in order to amplify an important message. Disruptive, fresh, and powerful in its delivery. MTV AFRICA ‘#LETSTALKCOLOUR’ (Ogilvy & Mather Jhb) – A fresh and disruptive use of the channel. It’s a simple idea that brings the message across in a very powerful, quick and clever way. It has a strong narrative while also serving a higher purpose. THE IZIKO SLAVE LODGE ‘THE SLAVE CALENDAR’ (GEOMETRY) – This is a moving and well-crafted initiative that shines a light on a little known fact about slavery in the Western Cape. It is simple and single-minded, creating a memorable and sharable experience. CLOVER MILK ‘DROUGHT PACKAGING’ (Joe Public) – A brave impactful piece of work done by a very brave client. Well done. This couldn’t have been easy to pull off as I can just imagine the factory production line rejigging it must have taken. I hope there’s an equally strong case study with proof of PR value as this could do well in the right category with the right supporting material. PASSOP ‘I AM MUSLIM’ (Native VML) – This piece reminds me that despite the digital take over, traditional media like posters can still be beautiful and timeless in its message, execution and impact. A very strong relevant piece of communication. CELL C ‘IGUGU THEMBI / SENZO / KHANYI’ (FCB 1886) – Funny spots, love the writing. I just hope the international judges at Cannes will value and appreciate the South African-ness of it. HEINZ WELLINGTON TOMATO SAUCE ‘WELLINGTOPS’ (Ogilvy & Mather CT) – Okay I know this one is in the family but sadly I had nothing to do with it so I can be objective. Great product development based off a strong insight. Def from someone that knows what makes kids tick. Can’t wait to get my hands on a set. Tselisooooo! TRIVIAL PURSUIT ‘CLOSE BUT NO WEDGE’ (Publicis Machine) – A really funny campaign. Makes me smile every time I look at it as I can see the fun the team had with it. It is promising to see such a broad range of work that crosses over so many categories. The majority of the work, however, does not feel world-class. Most of it feels like potential shortlists, maybe a few bronzes if we’re lucky. That said, there are some select pieces that I think will be up there and in contention for the big prizes. TRIVIAL PURSUIT ‘CLOSE BUT NO WEDGE’ (Publicis Machine) – Trivial Pursuit print/poster is hugely rewarding and fun. Really simple. Great line. It is one of those campaigns with universal appeal (which is important in a global awards show) that makes the viewer think they are such a clever clever for figuring it out, much like the feeling one gets when playing the actual game. I am sure this campaign will do extremely well. I wish I did it. NETFLORIST FORGOTTEN ANNIVERSARY (FCB Jhb) – NetFlorist Forgotten Anniversary is the shortest 90 second radio ad I have heard in a long time. It is hugely entertaining, complex in its production values but easy on the ear and it is over before you know it. A great piece of work. KFC MAN MEALS RADIO (Ogilvy & Mather Jhb) – KFC Man Meals radio has already started the year off with some traction, with one of only two yellow pencils awarded in radio at D&AD. I am sure this campaign will sit firmly in the upper half of the scoring table at Cannes. Well written, great performances and very entertaining. SANLAM ‘THE ONE RAND MAN’ (King James Group) – The One Rand Man has been a great performer in terms of relevance, effectiveness and results. It is eligible for a Creative Effectiveness Lion this year and I am sure it will live up to expectations. NANDO’S PERI THREAD BOOK (MullenLowe) – Nando’s Peri Thread book is a great piece of design. It has a fantastic story to tell and reason for being. It enhances Nando’s as a brand in a very unconventional way. I am sure this piece will delight all who experience it. Great insight, idea and execution. PASSOP REFUGEES ‘A HUMAN CRISIS’ – (Native VML) PASSOP Refugees ‘A Human Crisis’ is simple, scalable and highly effective, a strong contender for some metal in the creative use of data category. STUDENTS FLIGHTS (TBWA Hunts Jhb) – Students Flights has also recently launched a refresh to its ‘Travel before it’s not fun anymore’ campaign. There are two new radio campaigns as well print and poster. It is a timeless positioning based on a great human truth. This campaign has the potential to break through once again. In closing, amazing insights give birth to great ideas. And those that are executed in a world-class way and deliver results, win big at Cannes. I wish all the South African agencies the best of luck.